Why do we need Panic Hardware? We need Panic Hardware to ensure the safety of our staff, clients, contractors and the public – all of whom we are legally and morally obliged to protect. Read Freedom to Escape (an article by David Miller) to better understand the legal requirements for hardware that will freely allow escape, as required by the Occupational Safety & Health Act (OSHA), National Building Regulations and SANS 10-4000T. There are severe penalties for failure to comply, including imprisonment and hefty fines. Failure to allow escape in an emergency can also incur additional penalties in terms of the Consumer Protection Act, if an injury or death occurs. What all emergency exit devices have in common is that they open by ‘body weight’ – ALWAYS! In the event of one person or a crowd surging against the door, it MUST open immediately without even the need to use one’s hands! Read Panic Hardware for Fire Escapes an illustrated guide to Panic Hardware written by David Miller. Whilst providing a fast and easy exit, the panic hardware should also secure the door against entry from the outside – to satisfy Loss Control requirements. An example of panic bar with vertical locking rods is shown at left below. The vertical rods allow better protection against outside attack. 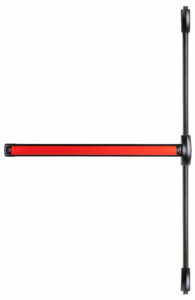 The panic bar with vertical rods can be used on it’s own, on a single door, or on the fixed (second-opening) leaf of a pair of double doors. The panic latch bar shown at right is suitable for single doors, and for the moving (first-opening) leaf of a pair of double doors. The DETEX range of alarmed panic hardware offers extra-strong UL Listed and fire rated panic hardware with built-in alarms, as well as facilities for remote monitoring. Do I need Fire Doors and Emergency Exit Hardware? Designated fire escapes in buildings in South Africa which have a ‘designed occupancy of 25 or more persons’ are usually required to have one or more hinged, outward-opening doors as fire escapes or emergency exits, through which ‘escape initiated by body-weight’ can take place in an emergency. Fitting the correct emergency exit device or panic hardware device should meet this requirement. Fire Exits must be able to be opened by any person, in the dark, with no prior knowledge of the premises or the equipment. View the Detex range of alarmed panic hardware for OUTWARD OPENING HINGED DOORS and contact us with your door information so that we can identify the best DETEX product for your application. Please furnish door-frame sizes – measured from the inside (with the door/s closed) to help us find the correct model for your application. 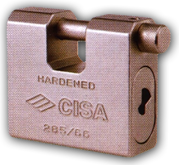 CISA PANIC HARDWARE: View the range of CISA FAST Panic Hardware for OUTWARD OPENING HINGED DOORS, and contact us with your door information so that we can identify the best product for your application. 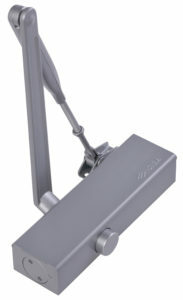 Are you an architect, builder, specifier or property owner looking for quality panic hardware for your current project? Contact us to find out which panic hardware and door closers will be optimal for your project. Please furnish door-frame sizes when enquiring. Note that emergency exits must be hinged, and must open OUTWARDS – in the direction of escape. Are you an office manager or shopping centre manager looking to safeguard staff and shoppers and meet the statutory fire exit requirements without compromising your Loss Control policies? Ask us for a demonstration of our state of the art panic hardware, so that we can show you how it will improve the safety and security of your emergency exits. Are you a security manager, security consultant or access control installer who requires a solution to secure fire doors for Loss Control, while maintaining the necessary safety standards? Talk to us and offer your clients high quality Fire-Rated panic hardware! We computer-list over 13,000 items, the majority of them being available from stock. If you do not find what you need in this section, please ask us, our staff have over 120 years cumulative experience! You can view our Security Tips Page which offers advice on selecting the correct product to suit your requirements. Click here to view the page - or ask us to help!